In 1981, when disco was on the way out, Montrose Jr High’s Dean Kildaw established a NW Zone Senior Boys 1500m record which ended up having far more staying power than the collected works of the Bee Gees or the Tramps. 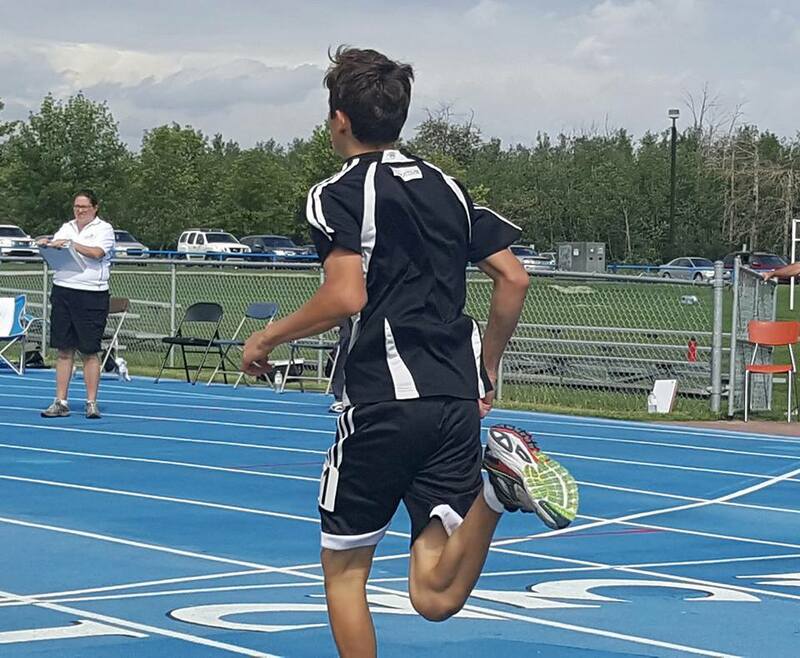 On Friday at the 2017 ASAA NW Zone Track and Field meet at the Legion Track, Hythe Jr High runner Kobe Grocholski, bettered Kildaw’s 36 year old record by 5 seconds, clocking a time of 4:35. On Saturday, Grocholski kept rolling adding two more wins in the 3000m (10:19 – Zone Record) and the 800m (2:14). Holy Cross runner Emma Noskey also established a pair of zone standards in the Junior Girls category. Noskey blasted the 400m in 63.9 on Friday and followed up on Saturday with a 26.9 in the 200m. She also had a second place finish in the 100m. In the team standing, Hillside Valleyview edged out Prairie River (High Prairie) for the junior high title. Harry Balfour was the top GP and area team – they placed fourth. The senior high competition was won by EW Pratt (High Prairie). St Joes was the top local school, placing sixth. The top 2 athletes in each senior high event qualified for the ASAA Provincial High School Track and Field Championships next weekend in Edmonton. This entry was posted in Outdoor Track and Field and tagged ASAA, Grande Prairie Alberta, NW Zone Track, Peace Country, Track and Field. Bookmark the permalink.